M+B presents WITNESS, the first exhibition of Howard L. Bingham's photography from the Civil Rights era. Outside of the iconic photographs of Muhammad Ali for which Bingham is so famous, lies a body of work created during one of the most tumultuous periods in America's history. In this first-ever showing of these photographs, the exhibit examines the work of a photographer who stepped out on his own to create an independent body of work that reveals some of the most intimate and agonizing moments of an era that changed the very fiber of our nation. From 1954 to 1968, the United States underwent massive social change. The Supreme Court's decision in Brown v. Board of Education heralded an era of passionate outcry. African Americans and other minorities joined together to demand the constitutional and human rights that were promised, but had long been denied them. The struggle for equal rights involved numerous acts of personal bravery by men and women who were willing to risk their own lives for the cause of a greater good. It was a struggle that engaged black and white, rich and poor, leaders and followers. While many cameras shifted their focus to immortalize the movement, Bingham's evocative images capture these dramatic moments in American history through the eyes and lens of one who not only witnessed the struggle from the outside, but also experienced it from within. WITNESS presents some of the finest and most compelling photographs of Bingham's career, capturing the anger, attitude, peace and contemplation of his chosen subjects: young and old, pacifists and violent revolutionaries, famous and unknown. He embraces them all at once, altering our ideas of what "documentary" photography can be. 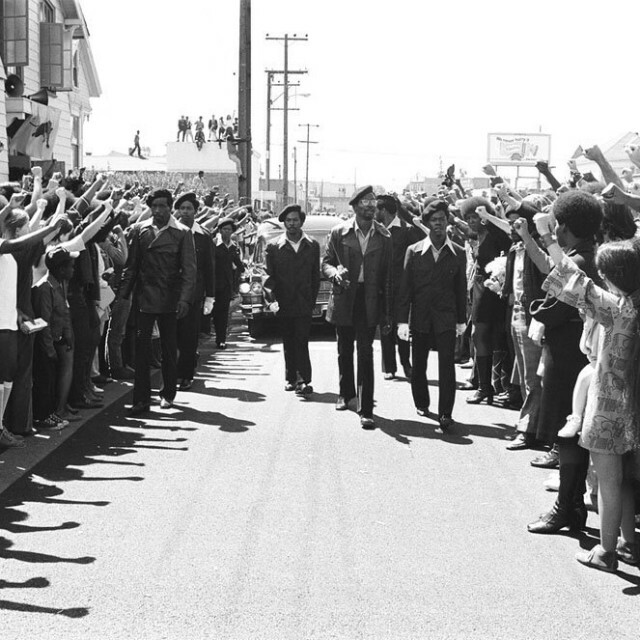 During the emotional meeting of Senator Robert Kennedy and Cesar Chavez at the conclusion of Chavez's hunger strike, Bingham reveals the National Farm Workers' leader's undying devotion to his people within a single frame. Images of Dr. Martin Luther King, Jr. convey the solemn determination of the Reverend in the midst of his peace marches throughout the South, during the week prior to his assassination and finally, the touching reflections and tears of the thousands of supporters, friends and family who attended his funeral. The power of Bingham's photography is found not only in the emotions evoked by his subject matter, but also in how he chose to expose them. Howard L. Bingham flunked his first photography class at Compton Junior College. He never took another one there, but would eventually become one of the most important and celebrated photographers of the 20th century. Beginning his career as a newspaper photographer, his work subsequently appeared in Life, Look, Time, Newsweek, Sports Illustrated, People, Ebony and numerous international publications, documenting many of the most important events and personalities over the last fifty years. Most recently, his photographs were featured in TASCHEN's GOAT, a dazzling, limited-edition publication that documents the life of Muhammad Ali. Bingham's work and contribution to the field of photography has not gone unnoticed: a Kodak-sponsored scholarship in his name goes to a deserving minority photography student at the Rochester Institute of Technology, and the Watts Labor Community Action Committee is planning a media center in his name for the purpose of teaching photography to young people living in South Los Angeles. In 2004, he was appointed Honorary Curator of Photography at the Muhammad Ali Center, soon to open in Louisville, Kentucky. Howard Bingham currently resides in Los Angeles and continues to photograph subjects that interest him.